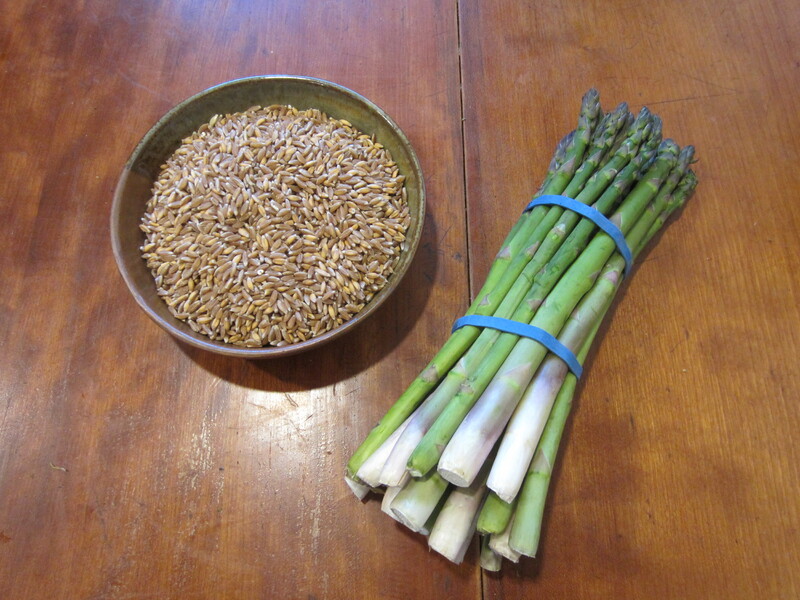 Most people compost things like beet greens and chard stems, but lots of unloved vegetable parts can actually be quite culinarily useful, not to mention tasty! 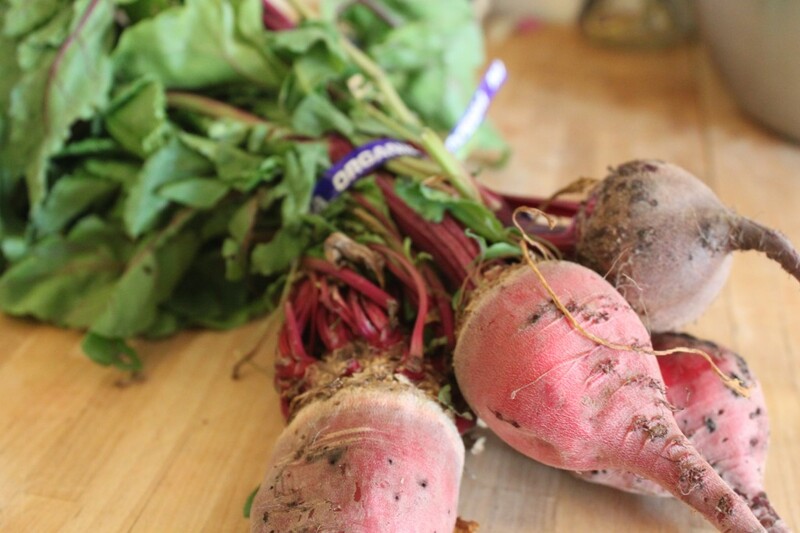 These gorgeous beets are from Blue House Farm, and this simple recipe for roasted beets with wilted greens will show you how to utilize just about all of your beets. 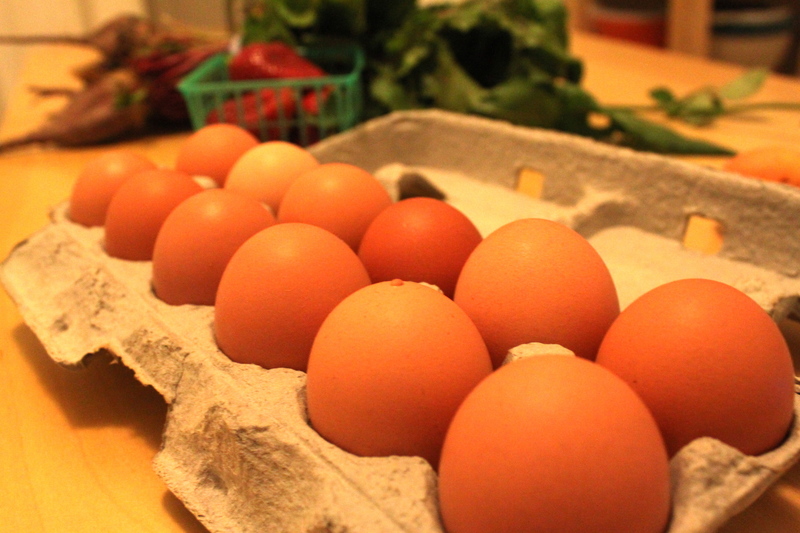 Mercado Kitchen: Never hard-boil eggs again! 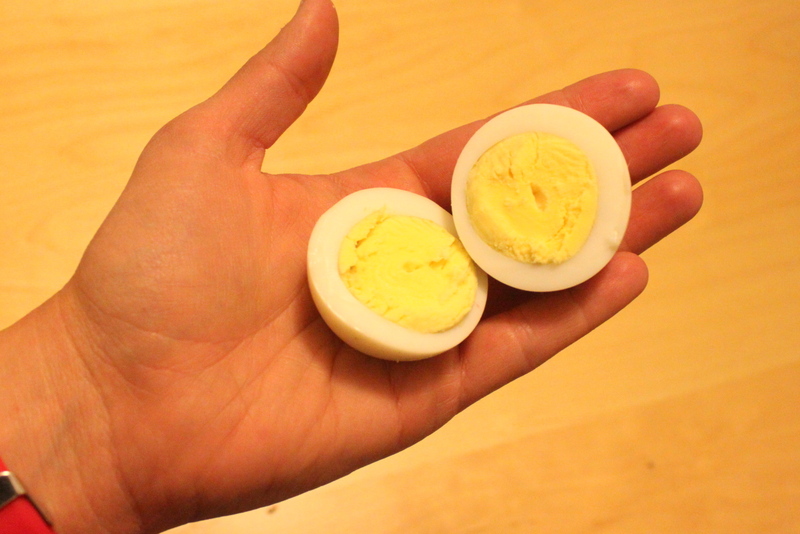 Hard-boiled eggs are a wonderful, pre-packaged, protein-packed snack! They also serve as great breakfast accompaniments to granola or cereal that alone just won’t keep you going until lunchtime. But after several recent unsuccessful batches of hard-boiled eggs resulting me destroying most of the egg trying to peel them (Did I use too much water? Boil them too long? Not soak them in the ice bath long enough? ), I had just about given up. Trust us–once you steam your eggs you will never go back! And now that MCM vendor Great Valley Poultry offers organic, cage-free, farm-fresh eggs for jut $4.50 a dozen every Thursday, you’d be silly to pass up the chance to try this simple trick! O, glorious strawberry season! How long have we waited for it to arrive?! It seems like years. Well, at least one. 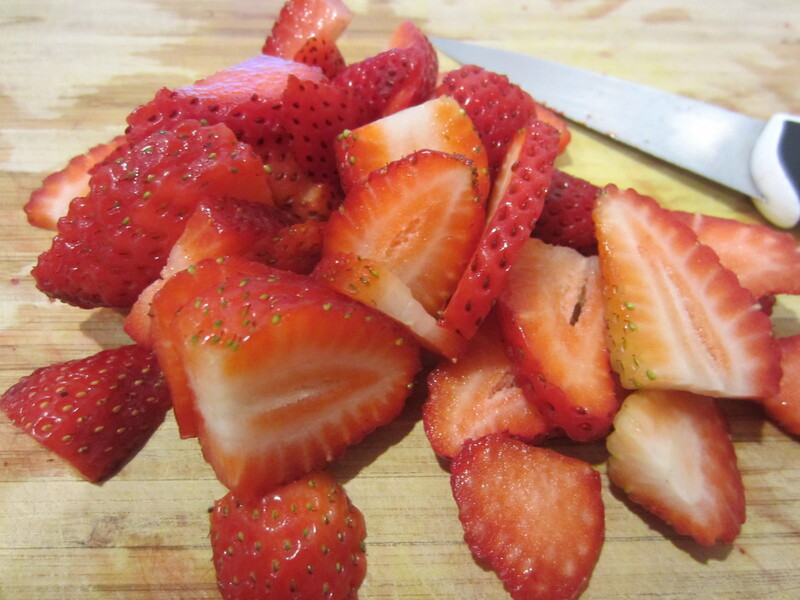 We are so excited to be getting delicious, plump, juicy strawberries now in season from Yerena Farms at MCM. This week, Tomatero Farms joins the mix and they’ll have berries as well! 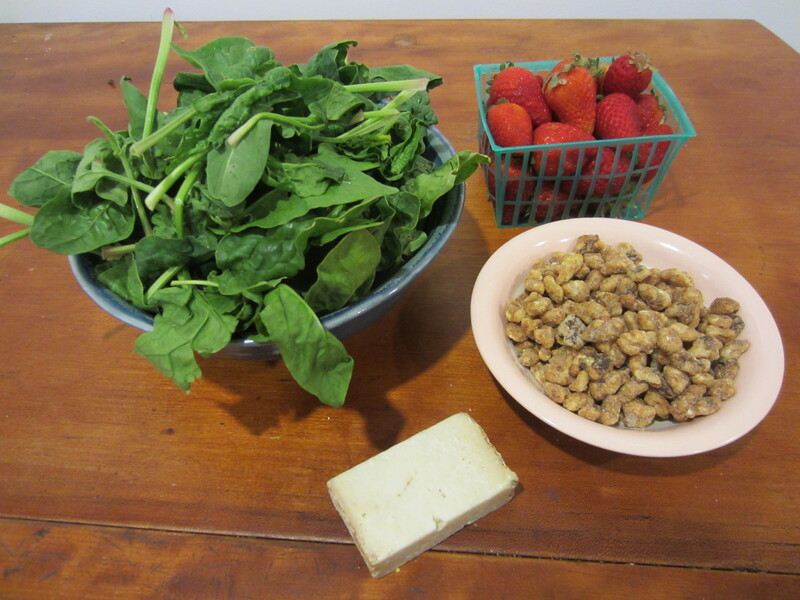 If you have any will power at all, and you actually have some uneaten strawberries in your basket by the time you get home, make this delicious strawberry-spinach salad filled with candied walnuts and optional bacon vinaigrette!